Watch collectors have a new auction to look forward to this month, and it promises to rival Christie’s Geneva Auction, which we previewed last week. Held on May 10, the Phillips Geneva Watch Auction: One is already getting lots of attention because of its ensemble cast starring Aurel Bacs. The former head of Christie’s watch department, Bacs announced his surprise return to the auction market at the end of 2014, and he’s come back with a flurry of extremely rare watches, some of which he sold during his previous tenure. A newcomer to the watch auction game Phillips is already a power player. Info: An extremely rare, historical and highly important yellow gold Rolex watch with triple calendar, black lacquer dial, phases of the moon, and original certificate, rating certificate and instruction manual. Signed Rolex, movement no. 52122, base plate numbered 00038, case no. 788’611, manufactured in 1951. Our Take: This Rolex Oyster Perpetual Chronometer is one of only two models ever made by Rolex featuring a full calendar and the phases of the moon. It is also one of the rare Rolex watches featuring a black dial and the so-called “spade numerals.” This beautiful watch also comes with a great story. The inscription on the case back shows that a groups of commanders of the 15th Air Force offered this watch to Major General Walter C. Sweeney on August 8th 1955 for his promotion to commander of the 8th Air Force. Info: An extremely rare and important oversized stainless steel single button chronograph wristwatch with vertical registers, sector dial and pulsometer-scale. Signed Patek Philippe, Genève, movement no. 198’073, case no. 504’146 , manufactured in 1927. Our Take: Patek Philippe. Single-Button Chronograph. Two words that ring like music to the ears of watch collectors. While Patek Philippe has usually fitted its single-button chronographs in gold cases, two single-button chronographs were finished in stainless steel. One can be found in the Patek Philippe Museum, in Geneva. The other, you are looking at right now. The Patek Philippe Ref. 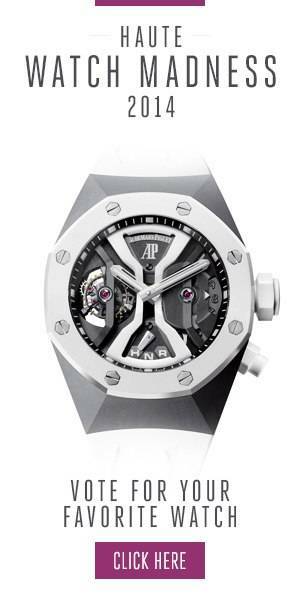 130 has one of the highest estimates of the Phillips Geneva Watch Auction: One. Info: A highly important and very rare pink gold perpetual calendar chronograph wristwatch with pink dial, moon phases and heavy Gay Frères bracelet. Signed Patek Philippe, Genève, movement no. 867’363, case no. 652’365 , manufactured in 1948. Our Take: Reference 1518 was launched in 1941 and was not only Patek Philippe’s first wristwatch ever to feature a chronograph and a perpetual calendar, but in fact the world’s first ever made in series. According to the brand’s records, a total of 281 examples were made during the model’s 14-year production run but very rarely in pink gold cases. The present example has a flawless and well-documented provenance and looks almost untouched. It will be years before we see another example. Info: An extremely rare and highly important stainless steel chronograph wristwatch with bracelet, formerly in the collection of Sir Eric Clapton. Signed Rolex, case no. 2’874’334 , manufactured in 1971. Our Take: The Rolex Oyster Cosmograph “Albino” is one of only four Rolex Ref. 6263 white dialed Cosmographs where the subsidiary dials are not in black with white printing, but are in the same silver finish as the dial plate. Hence the nickname. Sir Eric Calpton bought this particular model some time in the 1990s before separating from it at the Christie’s New York auction in June 2003. A few years later, it made its way back on the table and smashed the previous record for any Rolex Cosmograph when it sold for $505,000 USD at Sotheby’s New York. Phillips surely holds the next record. Photo Credit: Haute Time. For more information, please visit the official Phillips website. Follow Haute Time on Instagram to catch all of the new releases as they happen.